Home Everything else 15 Must Have Traveling Gadgets For You. 15 Must Have Traveling Gadgets For You. Collection of ‘Must Have Traveling Gadgets For You’ from all over the world to make your travel more comfortable. Podo: Podo is a Bluetooth connected, stick-anywhere camera that you can control with your smartphone. Just stick it on a wall and get in front, preview the image on your screen, take a picture, then watch as images get transferred wirelessly to your phone. It’s compatible with iOS and Android smartphones. Kokoon Headphones: These smart headphones are comfortable enough to be slept in, capable of tracking your sleep and provides comfort with audio that responds to your sleep. The Kokoon Headphones knows how and when to adjust your music as you fall asleep and wake. These headphones along with its app give insight to let you improve your sleep. To increase the levels of comfort, these are shaped to the natural contours of the head while spreading pressure away from the sensitive regions using its patented comfort system. Kokoon Airflow system maintains the acoustic seal yet encourages air circulation about the headphone cushioning to reduce heat and moisture. Kokoon has partnered with Onkyo to bring you these smart headphones. Kokoon is designed to look after your sleep, optimize your ambiance and ensure you can rest comfortably. Prynt: Prynt is an instant camera case for iPhone and Android smartphones that lets you print your photos in seconds. All you need to is plug in your phone, take a picture, and get a photo instantly. This smart case is portable and lightweight; doesn’t require Wi-Fi, Bluetooth, or an external power source to work and needs no ink cartridge as ink comes inside the paper. Pocketscan: Pocketscan is a compact, smart, and super light wireless scanner, just larger than a business card. Shoes with GPS: These GPS shoes are designed to guide you home with a click of the heels. All you need to do is input the location onto a map, and then the location is uploaded via USB to the shoes. When you click the heels the GPS system is activated. The lights positioned on the toe of the shoes indicates which direction you should walk next and a green light signaling that you have arrived at your destination. Chromebit: The Chromebit from ASUS can be plugged into any display, and it turns it into a Chrome computer. Incharge Cable: The Incharge Cable is capable of recharging up to twice faster than a standard cable which means that your device will be fully charged in just half of the time, depending on the device and power source used. It comes with a cool magnet closure, attaches onto your keys, making it impossible to forget it at home. Portable Printer: This portable printer is designed specifically for your smartphone. It connects to your smartphone via Bluetooth and lets you print web pages, messages, images, shopping lists, notes, and anything showed on your smart phone’s screen using thermal paper. On a full recharge it lasts more than 120 hours, or 7 hours if you want to print continuously. iTraq: iTraq is a about the same size as a credit card, uses cellphone towers to determine its location anywhere in the world. 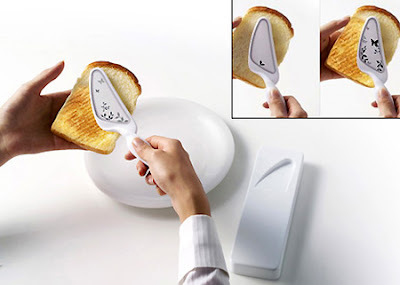 Portable Toaster: It comes with a graphic interface that displays how well the bread is toasted. Ring-Shaver: It’s small, cylindrical-shaped shaver that slips over the finger. 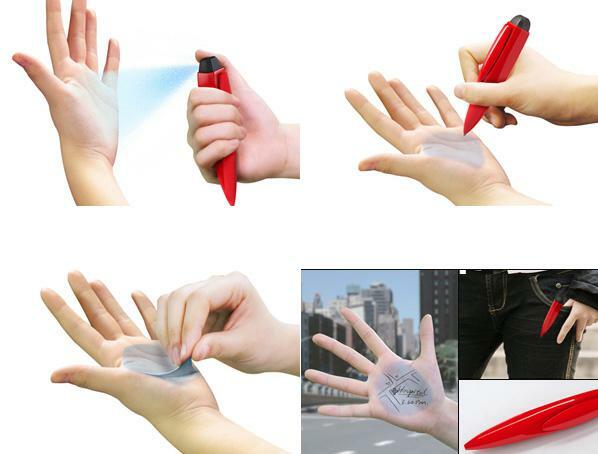 Pen+Sprayer: A neat little pen featuring a spray on one end that creates a writing surface on your palm. Jorno Pocket Keyboard: Jorno folding Bluetooth keyboard works with iPhone/iPad and Android devices; when folded it measures 3.5″ square and is rechargeable. 15 Must Have Travel Gadgets – Part 9. 15 Practical and Functional Gadgets – Part 4. 15 Coolest Home Automation Gadgets – Part 2.